The Vermont Marble Company virtually built the town of Proctor. At its peak, the company employed several thousand people in the Proctor area. Early in the century, it was considered the largest U.S. corporation in the world. Locally, headstones were being made from outcrop marble as early as 1785. The first commercial quarry was opened in Dorset – the first quarry in Vermont, and believed to be the first in North America. The Sutherland Falls quarry opened in 1836 and went through several owners before Colonel Proctor took over. He entered the arena as a receiver for the failed Sutherland Falls Marble Company. When he learned about the area’s combination of water power, sand supply, promising quarry, and established equipment and railroad, he decided to bring the various struggling or defunct works into one ownership and build an effective business. Vermont Marble Company officially came into being in 1880. In the course of its life, Vermont Marble Company acquired rights to all the marble deposits in Vermont, Colorado and Alaska, to become the giant of the industry for a century. Even as early as 1885 the volume produced was incredible. Some of the most notable structures that were constructed of Vermont Marble Company marble are the United States Supreme Court Building and the Jefferson Memorial. 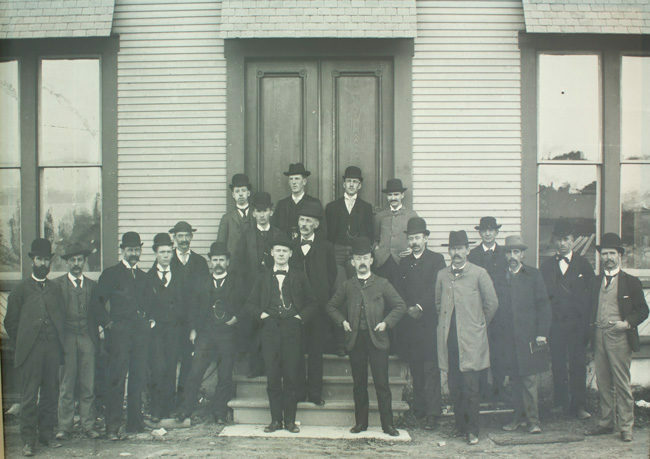 Employees of the Vermont Marble Company came from all over the world. 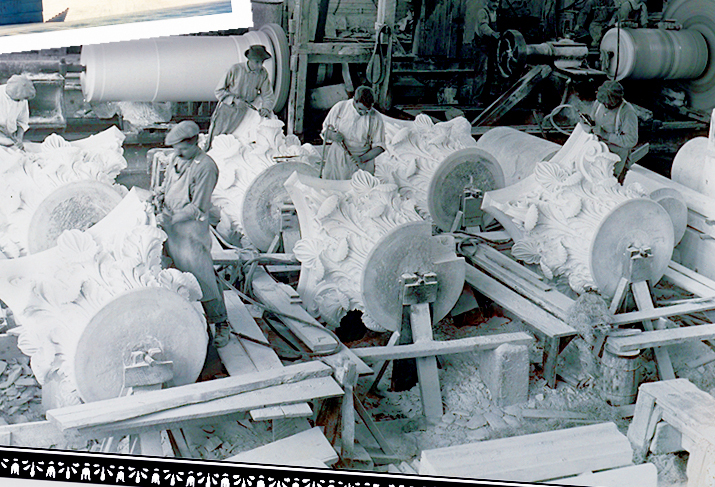 Marble carvers came from Carrera, Italy, and quarry workers from Ireland. The largest influx of immigrant workers came through Ellis Island at the turn of the century. The immigrants from Poland, Sweden, Ireland, Italy and many east European countries lent their skills to making the products of the Vermont Marble Company world renowned. These immigrants settled in Proctor and the surrounding areas, making Rutland County rich in cultural diversity. The museum’s historical exhibits include early photographs, samples of many products and is rich with information about the evolution of the marble industry. Learn about owners, investors, innovators and the hard working people that quarried and moved huge slabs and produced everything from Supreme Court pillars to gravestones. It is all centered right here at the exhibit location in Proctor, Vermont.